Easily brew your most popular blends while keeping extra pots at the perfect temperature for guests and customers with the Grindmaster CPO-3P-15A portable pourover coffee brewer. 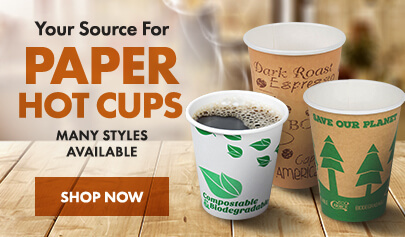 This model features a single, stand-alone temperature-controlled brewer with one bottom and two top warmers for help preparing the perfect pot of coffee. All stainless steel construction provides durability, in addition to making the brewer easy to clean when not in use. 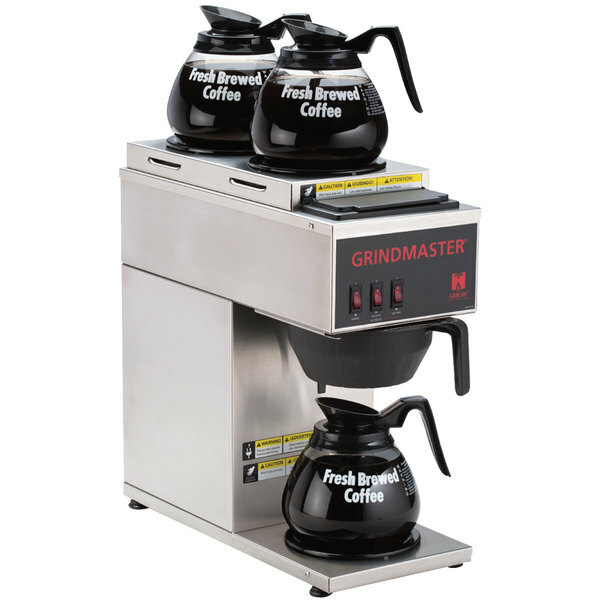 A 1.2 gallon tank capacity can accommodate for an entire meal period's worth of high volume orders, and the coffee brews directly into the decanters to decrease serving time. Additionally, a portable and compact design provides even more versatility as no plumbing is required for installation and operation. 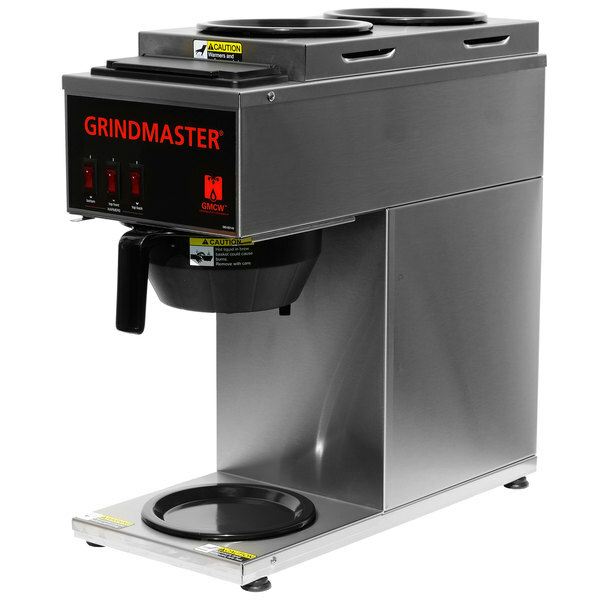 The Grindmaster CPO-3P-15A portable pourover coffee brewer requires a 120V electrical connection.